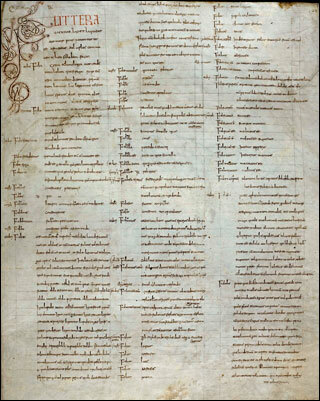 The manuscript consists of two originally independent parts: Both were written in the 1st halfo fo the 9th century, fascicle I (foll. 1-21) possibly in Lorraine, fascicle II (foll. 22-349) in South (?) France. Both fascicles were once held in the library of Abbey Lorsch.